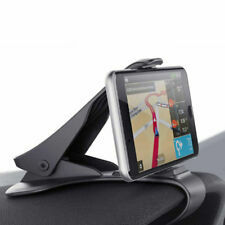 IMOUNT UNIVERSAL GPS CAR MOUNT PHONE,CAR HOLDER MAGNETIC holder STOCK CLEARANCE! HUD design does not obscure driver's view,safer driving. Curved base design fasten to most car dashboard. Fixed and stable base,smart design. One hand operation easy to install, no tools required. With non-slip silicagel does not scratch your car and phone. HUD design does not obscure driver's view,safer driving. Device Type: Hud design Stand Cradle. Curved base design fasten to most car dashboard. Max Size of base Clip range: 25mm. Fit for device size: 3.5"-6.5". Specification: 100% brand new, high quality Suitable for: 3-6.5inch mobile phone/ PDA/ MP4 devices HUD design does not obscure driver's view, easy to operate, safer driving Fixed and stable Curved base design fasten to most car dashboard With non-slip silica gel does not scratch your car and phone Adjustable display angle Easy to install, no tools required Color: Black. To Fit: Cell Phone. Compatiable For Samsung, Universal, For Apple, For HTC. USA, Canada, United Kingdom, Austrilia, France, Germany, Spain, Ireland, Italy, Others. Canada, United Kingdom, Austrilia, France, Germany, Spain, Ireland, Italy, Others. ·Extension Cable. ·Type C Cable. Audio Cable & Adapter. 3.5mm Audio Cable. ·M/M audio cable. 6.5mm Audio Cable. RCA Audio Cable. Optical Audio Cable. 360° Rotation Car Mount Phone Holder Rearview Mirror Bracket Black for Cellphone. Clamp design, No tools required, easy to install and remove. Clamp opening width size: Up to 9cm,suitable for most cell phone. Product type:CD Slot Phone Holder Mount. Unique round knot design,and 360 degree adjustable can easy get best view angle. Inserts into front loading CD player slot. 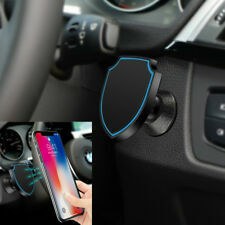 1pc x Car CD Mount Phone Holder(Phone isNOT included). UK SELLER Introductory SALE!! FREE UK Delivery!